Comics are a niche entertainment choice. I don't know how anyone can reasonably argue with this statement. I'm not saying that there aren't choices that are more niche, but for the amount of impact comic books have had on pop culture as a whole, the number of people who actually read comics is tiny. A book at one of the major publishers is usually considered successful enough to stay in circulation if it can maintain ~20,000 readers; it's a wild success if it can sustain 150,000 readers for more than a few months. There are only a few hundred thousand regular comic book readers in North America. If we include digital and trade readers, we could generously say that there may be as many as one million semi-regular readers. For comparison, there were 20,000,000 opera tickets sold in 2007 in the United States. Let that sink in for just a moment: unless the average opera-goer went to 20 performances a year, that means comic books are more of a niche entertainment choice than opera. How did the industry get to this point? How can we fix it? I think I have the answer to that last bit, but understanding the road that's taken us here is vital if the solution is to make any sense. Let's start by saying, first, that the niche the industry is stuck in is both the source of its problems and the result of them. Over the next few days, I'll be examining three of the main problems with the industry, and all of them share a similar pattern: the problem exists because of the niche nature of comic books, and the niche nature of comic books causes the problem. On Friday, I'll be presenting a model that can be technically implemented with perhaps six months' to a year's worth of work, but which could see the addition of millions of new and returning readers by the end of the decade. Problem 1: Comics are expensive because they are niche, and comics are niche because they are expensive. Tony has a lot of yellow books. Anyone who has bought a comic in the last five years knows how out of hand the price of comics is getting. We're up to $3.99 an issue on a lot of titles even in digital, and there's no sign of the prices going back down. 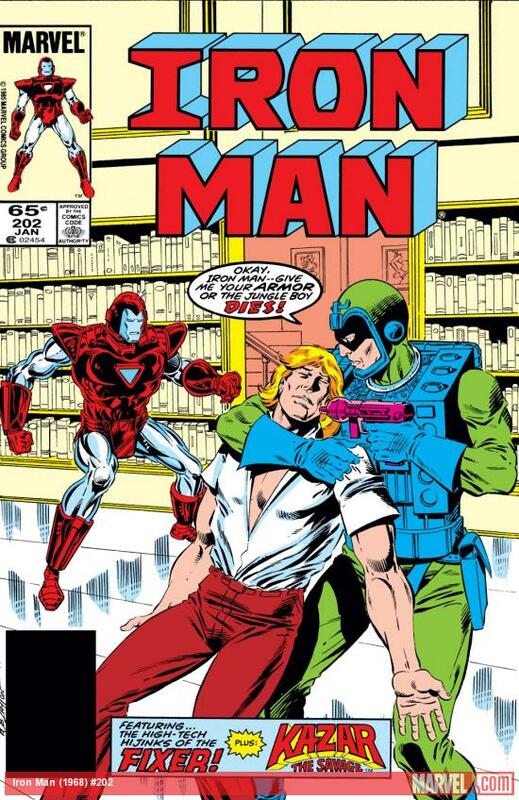 When I bought my first comic for myself, Iron Man #202 in 1986, it cost 65 cents. It had about as many pages as a modern single issue, albeit with a somewhat simpler storyline, less detailed art, and cheaper ink and paper. Still, it told a whole story in 22 pages, unlike the usual multi-story arcs of the current day comics. Adjusted for inflation, today it would cost a massive... $1.39. Well, as previously mentioned, comics are printed with better materials now, so there's that. There's also the fact that, in terms of real dollars, inflation in New York or Los Angeles is going to mean a higher real dollar increase in cost of living, cost of business, etc. than in Dallas or Des Moines, and the publishers (and therefore their staffs) are mostly based out of New York or LA. Of course, they have to pay for the salaries of the writers, artists, editors, letterers, and all of the other folks that actually create the books. But the largest cost, by far, can be laid at the feet of Diamond, the distributor that has a legal monopoly on comic distribution in North America. Diamond pays a percentage of the cover price for each copy of a single issue that they buy; for indie publishers, that number can be as low as 30-40% of the cover price. For Marvel and DC, it's probably closer to 50%, but they don't publish the details of their contracts anywhere I can find. There are other factors that can muddy the waters here as well, such as Marvel or DC offering a store owner a discount that affects how much Diamond pays, and a bunch of other stuff. It's pretty crazy and well worth reading about. As an added expense, the publisher also has to pay for shipping from the printer to Diamond, although it's not certain if this applies to the major publishers. Smart money says yes, though. 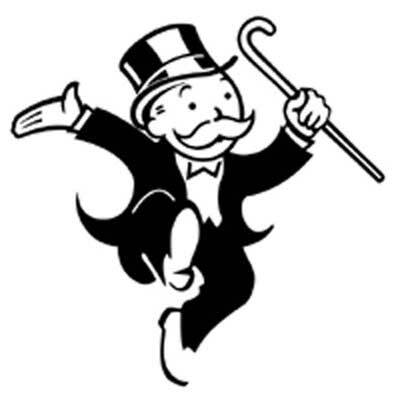 What's the point of having a monopoly if you're not going to squeeze people? The net of the whole thing is that, for a $4 book that doesn't get discounted to the retailer (and most of them will), Diamond will take $2 per issue off the top. Printing and shipping can be pretty variable, so we'll roll it up into an estimated cost of 50 cents. That means that, out of a single issue of a $4 book, one of the big publishers is only seeing about $1.50, and that's before paying for staff, facilities, etc. Mind you, this doesn't include any discounts the publisher gives as incentives to the retailers to get them to order more copies, which they regularly do. That $1.50 estimate is pretty close to the best case scenario for the publisher. These are all ballpark numbers, of course, but it's easy to see how the cost of a single issue has gone up so much. Trades work out a little better, but not so much better that the publishers could shift entirely over from a single-centric to trade-centric publishing scheme and have that fix the problems with the current print distribution model. Well, what about digital? The story is better there, but still not wonderful. The cut that Comixology takes varies from publisher to publisher, but it's generally a little better than the Diamond deal. However, if a user buys through the app on an iPhone or iPad, Apple first takes 30% off the top, then Comixology and the publisher split the take. Marvel doesn't discount their digital issues, and DC only does after two months, so the cost is still the same to the reader, as well. Regardless of how the publisher gets their money, they still have to pay the bills and keep their shareholders happy with the ~$1.50 they get from each book. The more books they sell, of course, the more of those little $1.50 cash infusions they get, but that brings us back to our original problem: only comics fans are going to spend $4 in the first place to buy a 22 page pamphlet that tells a third of a story. The books that were put out until the early 90s were more likely to be done-in-ones, because they were sold as often at a 7-11 or a newsstand as they were at a comic book shop. The publishers are forced to cater to the market that they do have left, because it's too expensive or not logistically feasible to try to venture out of the direct market. So there you have it. Because comics only get sold through the direct market, fans can ask for more intricate stories. In turn, because the stories are more intricate, even if the publishers were able to go back to newsstands, new fans wouldn't come onboard there because they would be getting a third or a fifth of a story for four dollars. Heck, the most recent Captain America story arc was ten issues long, plus an epilogue. Nearly fifty dollars for a story that only takes a couple of hours to read at the outside is kind of hard to swallow for a new reader. I'll see you back here tomorrow for the next installment, where I'll be looking at how an aging core demographic has made it hard to bring in new readers. See you then!